Beautiful Biokera by Salerm Cosmetics! Want volume, lasting curls, and an awesome, silky, texture to your hair? Then try our line of Biokera haircare products by Salerm Cosmetics. 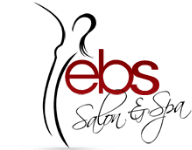 Stop in today to purchase or make an appointment at EBS Salon & Spa.